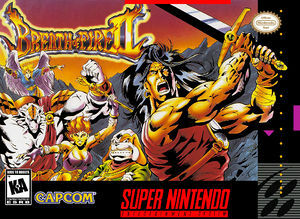 In Breath of Fire II you are the last member of the Dragon clan, fighting to rid the world of a growing evil. A cast of unusual and exciting companions joins you in your adventures across a wondrous land full of magic and mystery. You'll find strange mystic items, memorable monsters and exotic locations in your quest to conquer evil. There's strategy and spellcasting galore in the hours of compelling action and adventure that awaits you. The graph below charts the compatibility with Breath of Fire II since Dolphin's 2.0 release, listing revisions only where a compatibility change occurred. This page was last edited on 1 January 2018, at 06:29.